We have years of experience in repairing, maintaining and upgrading all types of 4×4 vehicles. We specialise in all makes and models of MPV and 4X4 vehicles whether you need servicing, repairs, body lifts, suspension enhancements or even a custom exhaust. With Fastlane Autocare, you can be sure of quality servicing and repairs. We carry out chassis inspections on the likes of Nissan Navara type vehicles and other 4x4 vehicles such as Landrover types, ensuring roadworthiness. Any of our pre-purchase inspections always come with a full underbody report, including complete chassis check! 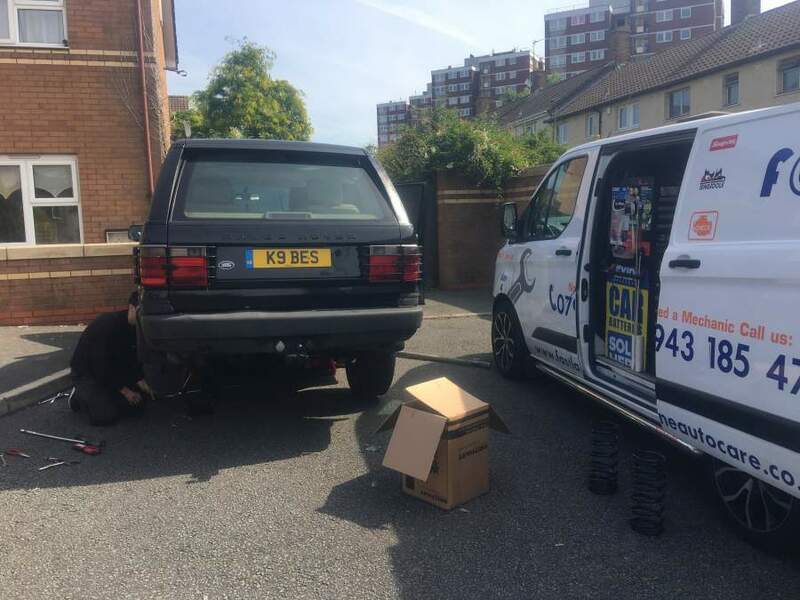 Take a look at this P38 Range Rover we recently carried out a coil spring conversion on due to the airbags going porous. The owner decided to take the vehicle from air suspension to coil springs. When we had finished the conversion, it sat perfect and drove great! We have also recently carried out coil spring conversions to a Land Rover TD5 Discovery and Range Rover Sport. What We Can Offer You & Your 4X4 In The North West? At Fastlane Autocare, we have completed many different modifications to off-road vehicles, even Bob-Tailing a discovery 200 TDI! We tackle all types of issues, faults, and upgrades on 4X4 vehicles daily. Whether you require an engine rebuild on a defender 200tdi, or a battery for a Mitsubishi L200, we are here to help! We have branches all over the North West. Each of our branches is equipped to deal with any repairs you may need for your 4X4 vehicle, or indeed any running issues your 4X4 may be having. So regardless of the type of 4X4 vehicle, our branches are ready to help get you moving again! We have branches in Stockport, Congleton, Trafford, Manchester, Liverpool, Southport, Runcorn, Atherton, Wirral, Chester, Lymm, Cheshire, Radcliffe, Helsby, Leyland, Oldham, Queensferry, Skelmersdale, Swinton, Trafford, Walkden, Deeside, Middleton, Warrington, Denton, Hale, Chorley, Bury, Bolton, Warrington, Wigan and Widnes. In fact, any location in the North West where you need assistance with your 4X4 vehicle, we are ready to help! With over 10 years of experience in 4X4 vehicle repairs and servicing, we are certain we will be able to assist you with your vehicle's needs! Call us now for a free quote on 07943185471.